It's been awhile since my last pretties post. I guess I've been waiting around for three covers (and synopses) that really got my heart going, you know? Well, these three are it. I cannot wait to get my hands on them and they each sound completely different from the others but completely perfect in their own way. These are three new-to-me authors and how utterly exciting is that? I also (amazingly) wouldn't change a thing about any of these covers. Not the titles, not the artwork, not a thing. They're perfect. This one has slowly worked up my interest as I've seen the cover popping up all over the place. But I finally caved and read a (very) short synopsis and now I'm officially really looking forward to it. It's an amnesia tale (they can really go either way, can't they?) and it reminds me somewhat of Gabrielle Zevin's Memoirs of a Teenage Amnesiac , which I enjoyed. But I've perused the author's website and I like what I see. Especially how cryptic it all is. High hopes here. My excitement for this one is two-fold. 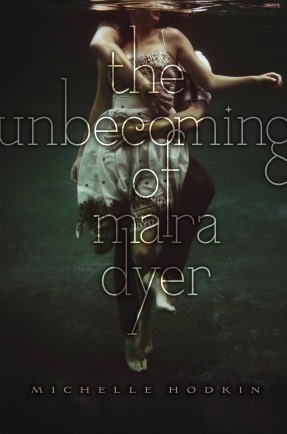 First of all, Adele from Persnickety Snark gave it a resoundingly good review and Trisha from The YA YA YAs has it on her most anticipated titles of 2011 list. Both incredibly good signs. 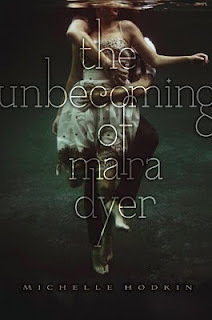 Secondly, ohmygoodnessdidyounoticethecoverblurbbynoneotherthanMeganWhalenTurner? SOLD. Interestingly, this is Ms. Hinwood's first book and it was originally published in Australia in 2009 under the title Bloodflower. It's to do with the title. I am in very deep love with this title and wanted to read the book before I even remotely knew what it was about. Turns out, it's about three very different young girls who become roommates at a Swiss boarding school. An Iranian princess, a German-Canadian eccentric, and a Cuban-Jewish New Yorker culinary phenom. Well, why not? Beautiful covers, the stories don't sound bad either :) I think my favourite's the third one. Oh these are so pretty! 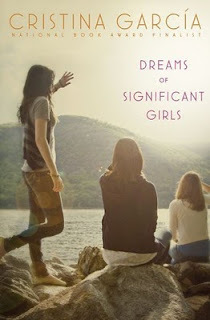 I love the cover of Dreams of Significant Girls. Looks lovely. Oh wow. 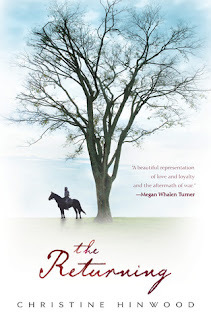 I'm sold on The Returning by the blurb alone, too! Must find out what it says. Lovely covers! The premise all look interesting too. Must look them up in Goodreads and add in my wishlist. The blurb from MWT is so exciting! *squee* I'm always interested in books that she recommends.